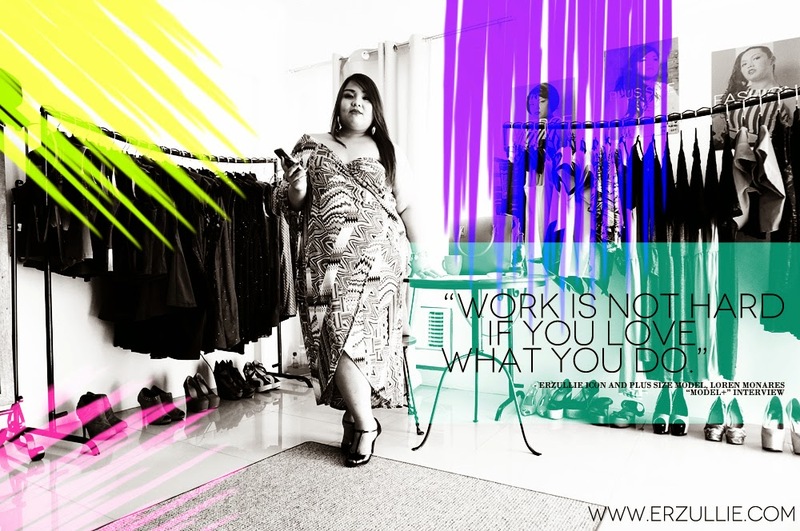 Erzullie Icon and Plus Size Model, Loren Monares, has been professionally modeling for more than 2 years now and currently, her career as a plus size advocate has taken a slight turn to a different direction. Embracing, events organizing, Loren, shares how she took her plus size modeling career to a whole new level. #1 Word from the grapevine is that you are working on a massive plus size event, collaborating with one of the biggest Mall chains the country. Is this true? If so, any juicy details we can grab from it? Yes, this is happening very soon. The idea is to create a venue where the plus size community will be given opportunity to see the different options in the market that would fit to their lifestyle. A few years back, you would often times hear a plus size person say “There’s limited fashionable clothes for me” or “There’s no size for me in the malls”. Personally, I experienced this, may it be for my clothes, shoes, etc. So this project would hopefully address this, making us realize that slowly, our society, particularly the fashion industry, has embraced the plus size community. The event will showcase different brands or merchants that support the plus size lifestyle – ranging from clothes, underwear, shoes, accessories, healthy food options, etc. Apart from this, there will be entertainment, talks on beauty and wellness, games for the whole family and of course, the Fashion show since this is basically a celebration of body love! #2 How did the project start? This whole idea and opportunity was presented to me by Direk Bobbit. Direk is a renowned fashion director who organizes promotional events, particularly mall based fashion shows. I started working with him last year as model in his Annual Pre-Holiday Fashion Show held in SM North. According to Direk, he wanted to tap someone to partner with him in this new project who is passionate about the concept that’s why he opened this up to me. #3 Why did you say “yes” to the project? 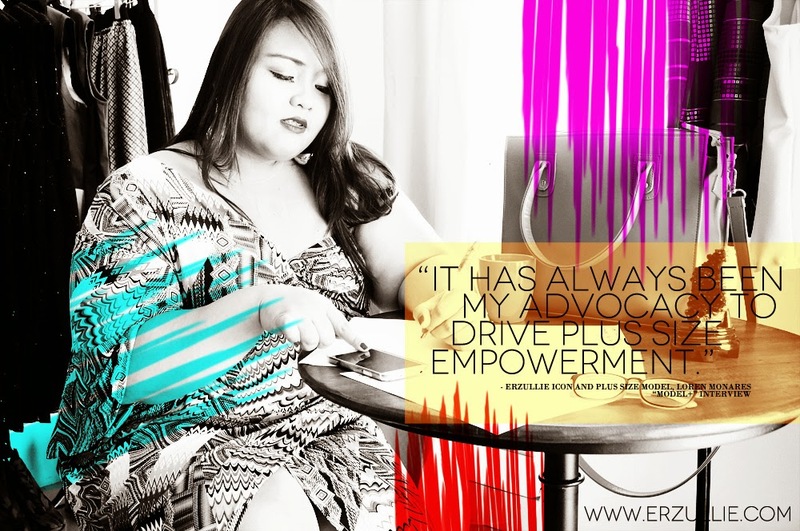 First, it has always been my advocacy to drive plus size empowerment. I believe that this project would provide the venue for plus size to explore the different options to feel good and gain their confidence. Second, this entire concept of fashion show for plus size has been a dream that we were trying to work out with PinayCurvies (Plus Size Bloggers) and Erzullie (the clothing brand that I model) since last year. Now that this opportunity came, I believe that we should collaborate with Direk Bobbit to make this dream a reality. Third, hopefully, this event will inspire and strengthen the plus size community. #4 Other than this, you are also still doing modeling. How do you find the time? It can be challenging, especially when brought into conflicting or overlapping situations. From what I learned so far, the key is constant communication with the people I work with in each project. Having to balance my career in the bank, modeling and this new endeavor, I know it can be pretty tough, but I guess because it’s my passion, I find ways on how to make it work. It’s a matter of managing my time, planning out the activities, and proper coordination with the people I’m working with. #5 Do you think that this would be your next step after modeling or you feel that this is just going to be another title in your career title? Why or why not? I will definitely not leave my career in modeling. It brought me lots of opportunities which I never imagined before that can happen to me. Most importantly, I met genuine friends whom I even now consider as my family. This endeavor is just an addition to my list of ways on how I can drive my advocacy. #6 Any wisdom that you think other plus size models can derive from this? I believe the most important thing that I learned over the past years is that I should not limit myself from what I am capable of doing. As opportunities come, we have the tendency to doubt ourselves if we can do it. I think it’s natural for most of us to protect ourselves from any risk of failing. But hey, you’ll never know unless you take that big step and DO it. Of course, there will be failures along the way, but these will serve as your learning experiences which will strengthen you as a person. To add to that, make sure you do what you love the most. As I always say, work is not hard if you love what you are doing. Hello fellow Erzulliestas! 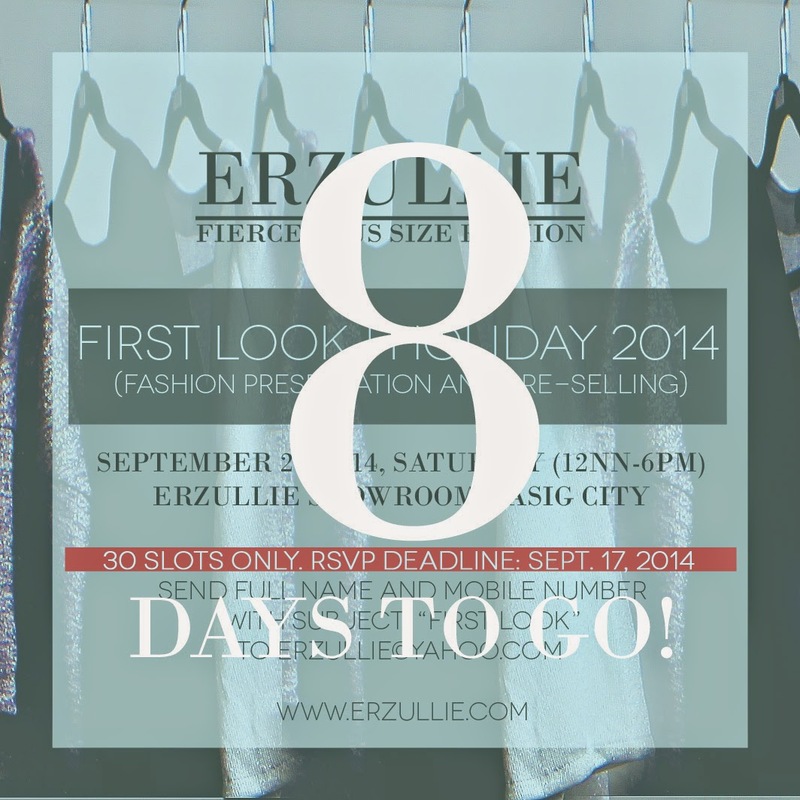 I’d like to invite all of you to join us this coming November (date to be announced soon!) as we launch the first ever “The Plus Factor” event, celebrating plus size lifestyle. There will be entertainment, talks on beauty and wellness, fun games and prizes that await you!